Over 2,700 RealTracks &dash; Listen to demos! The Songs & Lessons PAK: 25 MIDI add-ons for Band-in-a-Box, including the Essential Riffs and Phrases Series, Fakebooks, complete Master Solos Series, CopyMe, Duets, Novelty Piano Riffs, Instrumental Studies, Country Guitar Solos, and Folk Songs. Learn more about the Songs & Lessons PAK with this video. **Note: This is only included in the UltraPAK+, Audiophile Editions and OmniPAK packages. This item is not included in the UltraPAK. "New! USB 3.0... Speed Thrills!" The UltraPAK and UltraPAK+ are now pre-installed and ready to use on super-speed USB 3.0 hard drives! Faster hard drive transfer rates will enhance the program operations (faster time to generate tracks, reduced audio artifacts) and offer faster transfer speeds (typically up to 3x faster). Also available as a ~120 GB download. 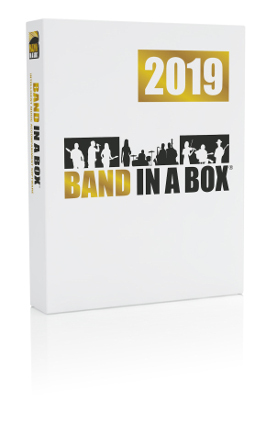 Compare the Band-in-a-Box® 2019 UltraPAK with older Versions. RealTracks in the UltraPlusPAK: Over 2,200 instruments total. MIDI Styles Sets 0-77: All MIDI Styles Sets, over 2,000 styles. The UltraPlusPAK version includes over 2,000 MIDI styles in a wide variety of genres!